Heather’s Big Mama was a spitfire. She was all of 5 feet tall and was filled all the things a classic Southern grandmother (or great-grandmother, in this case) is supposed to be filled with – and some extra stuff, too. After Big Daddy died, she lived alone until the ripe old age of 95. She was a master fisherman and skilled squirrel hunter. The woman could can anything, grow anything, and cook anything. It’s been rumored that the meringue on her banana pudding was the highest in 3 counties. I was fortunate enough to know her and Jack was lucky enough to meet his great, great grandmother before she died. That in itself is something most folks never get to do. Her house was always warm and comfortable and an afghan was always close enough to grab if you got a chill. She loved her flowers and the bright colors of bandanas – or lantana as the rest of the world knows it. She was precious. Absolutely precious. And was the glue that held the family together. And we miss her. 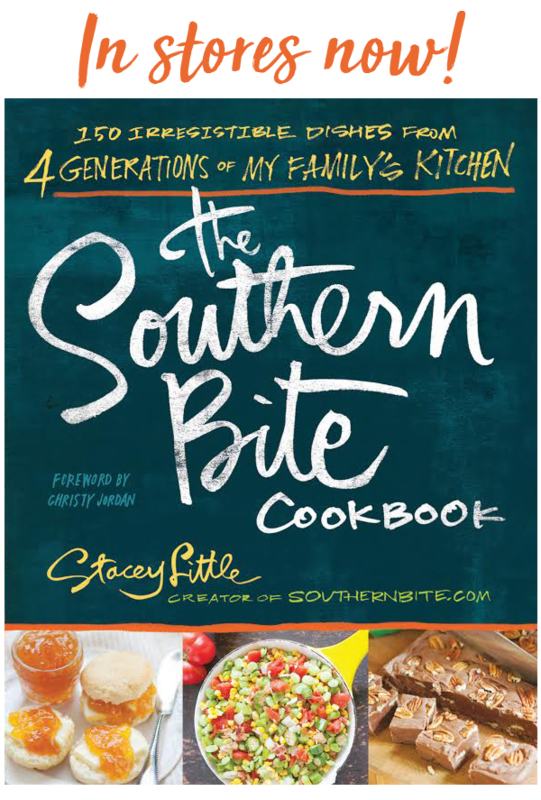 But one of the amazing things that food can do is keep us connected to folks like our sweet Big Mama when we keep their recipes on our tables. 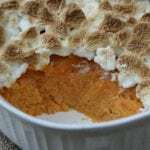 This recipe for Sweet Potato Pudding is one of the many amazing dishes that she made and one that I’m now fortunate enough to be able to share with y’all. 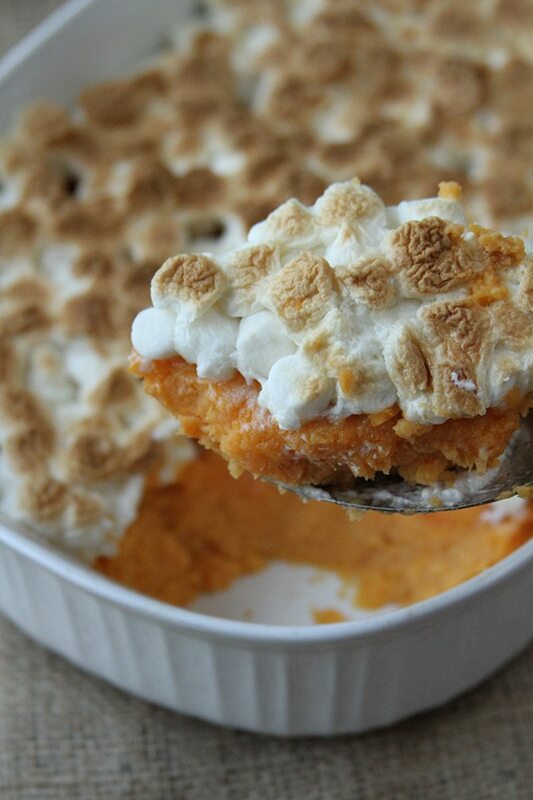 It’s a lot like sweet potato casserole, but she called it pudding, so that’s what we’re calling it. Her recipe didn’t call for the marshmallows on top, but I think the combination is a match made in heaven, so I added them. Feel free to be authentic and leave them off if you wish. Y’all enjoy. Peel the sweet potatoes and cut them into 1-inch (or thereabouts) cubes. Place the potatoes in a pot and cover with water. Heat to boiling and cook for 15 to 20 minutes or until tender. Drain the potatoes, allow to cool slightly, and mash well. 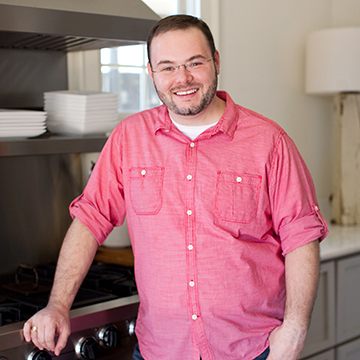 Preheat the oven to 350° and lightly spray a 2-quart baking dish with nonstick cooking spray. 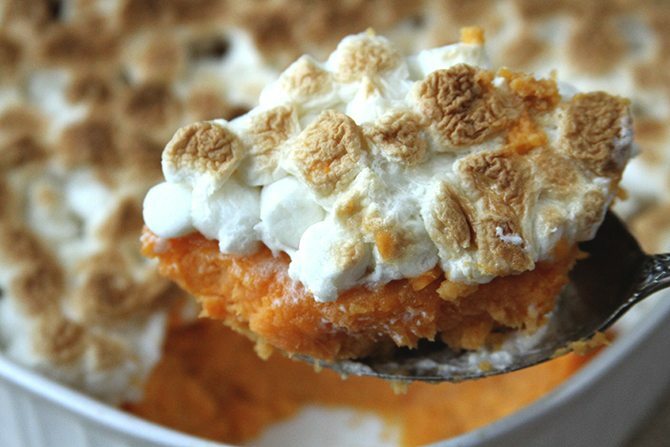 In a large bowl, mix the mashed sweet potatoes with the sugar, milk, eggs, and vanilla extract until well combined. Pour the mixture into the prepared dish and bake for about 45 minutes or until slightly set. Hey Stacey, I made your Candied Sweet Potatoes with Pecans yesterday. It was great & I will be making it again when I want sweet potatoes. Thanks for sharing. So glad it turned out well for you, Christine! Thanks for taking the time to let me know! And what is in a name. 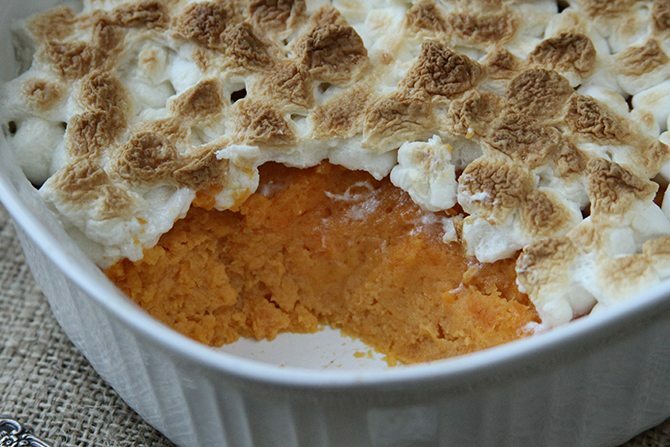 I would call this sweet potato souffle , but no matter—let’s just call it good or as my husband used to say call me anything except late to supper. Thanks Stacy, I will be trying these , out on my family, it all looks good. Love this but want to try something new this year. I want to go start to finish, meaning browning marshmallows, then transport it for 40 min and then put on warming tray for an hour. Reason for this is very limited oven space at my daughter ‘s. I know I can keep it warm but will marshmallows hold up. If it stays warm, they should be fine. They’ll get really soft, but shouldn’t melt completely. Thanks for the input. I will let you know how I make out. I have been making this for close to 30yrs but this an unusual situation this year. No matter what happens to marshmallows, I know it will be good but it may not be as perfect looking! We’ll see . This sounds delicious! Can it be made ahead and frozen? You can make the pudding and freeze without the marshmallows, then just add them when you bake it. 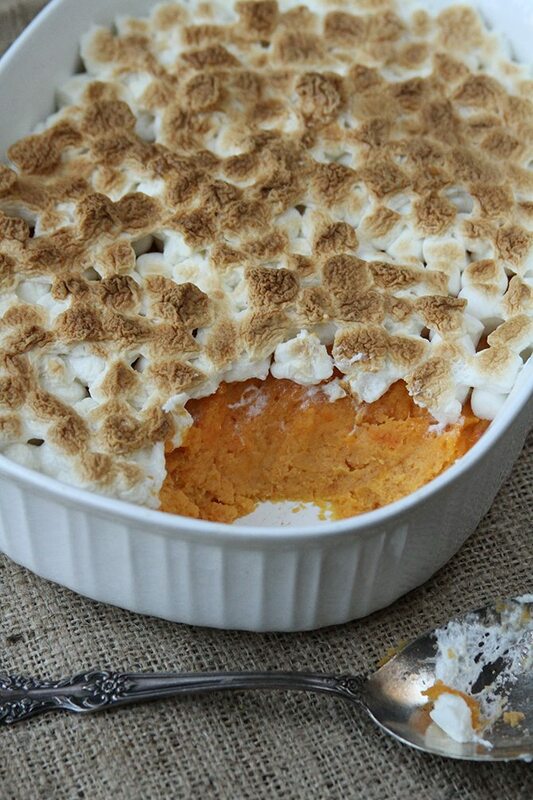 I had asked you about traveling with sweet potato pudding after I browned the marshmellows. Wanted to let you know it worked out great! By the time I sat it on the warming tray at my daughter ‘s, the puffy effect was gone but it still looked good and tasted great. Thanks for your vote of confidence. . Wonderful! So glad it turned out well for you! Thx Stacey I will be trying this out today. Having a group to prepare for and getting a head start. I think you can freeze this too. Thx for the easy recipe. Blessings!!!! I mention of adding the marshmallows?? The paragraph above the recipe card has the info you’re looking for. Bigmama’s recipe didn’t call for marshmallows.